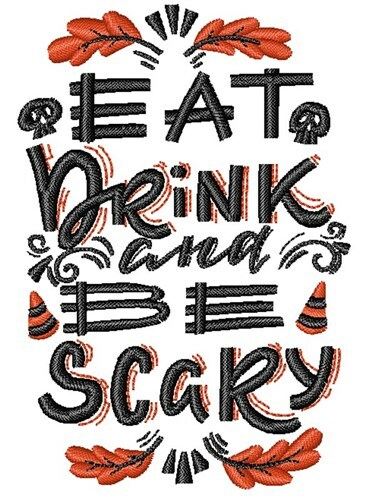 Add this fun & funky design to your next Halloween project! This would be perfect on a yard flag, sweatshirts or throw pillows to decorate with! 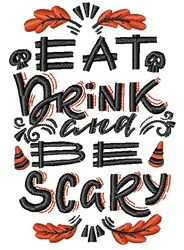 Easy Embroidery is happy to present Eat, Drink & Be Scary machine embroidery design which has 9594 stitches and is [65.01 mm x 94.29 mm] large. If you would like to view more embroidery patterns please search on our embroidery designs page.